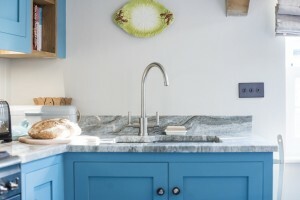 We can of course safely assume that Shakepeare wasn’t contemplating kitchens when he famously penned the above words, but nonetheless it is a superb quote to draw upon when considering the potential of a small kitchen space; applying “fierce” more in the colloquial sense, as in stylish or awesome! Illuminate – Small and dark rooms are no fun! Excellent lighting will make a small space pop, creating depth and interest. The two elements to address are function and form. When it comes to function you need to think in terms of the space as a whole and your task related areas. A diffused light can be created with recessed ceiling lights that will open up dark corners without taking up any airspace. Strip, recessed or track lights can be used to light up your work surfaces. Practicality is key! Once functionality is covered you can consider light purely for the purpose of aesthetic. Lighting up a particular feature can create the impression that a room is larger. 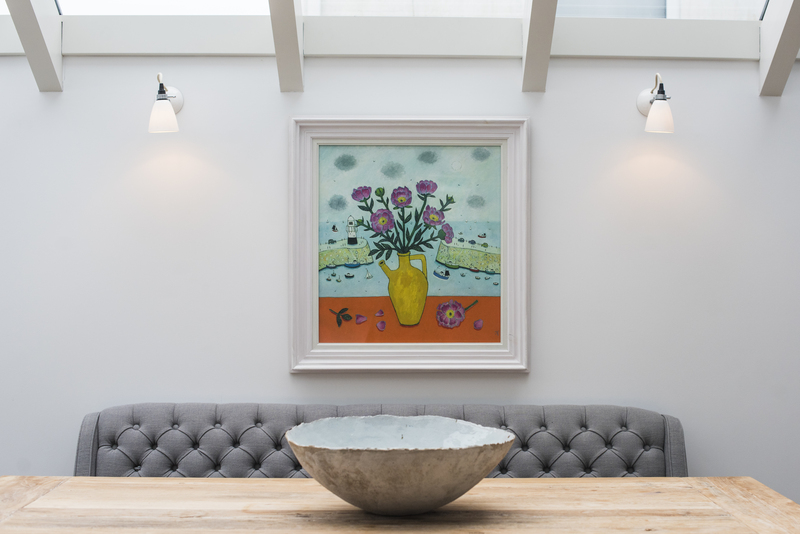 Light fittings can be statements in their own right with many different forms and materials to choose from. Fantastic modern Edison style light bulbs can be left bare for an artistic, slightly steampunk vibe. Choosing warm lighting, higher on the kelvin scale, will make the space inviting and relaxing. When looking at shades, particularly of dark or solid colour, always consider in which directions the light will shine or be blocked and how that will appear. Add Character – Splash out on a beautiful feature. Select a stunning feature to transform a small space into something exquisite. Choosing one statement item and building your kitchen around it can give great personality. Consider a gorgeous sink such as hammered copper, a classic Butlers sink or a modern glass piece. You could opt instead for traditionally hand painted, cork or metallic tiles. An eye catching set of taps, antique, replica or modern, could be a central feature with so many amazing materials and colours to choose from. A small room can also be a great opportunity to invest in a striking floor that might not work over a larger space. Maximise Storage – Unobtrusively make the most of every inch. 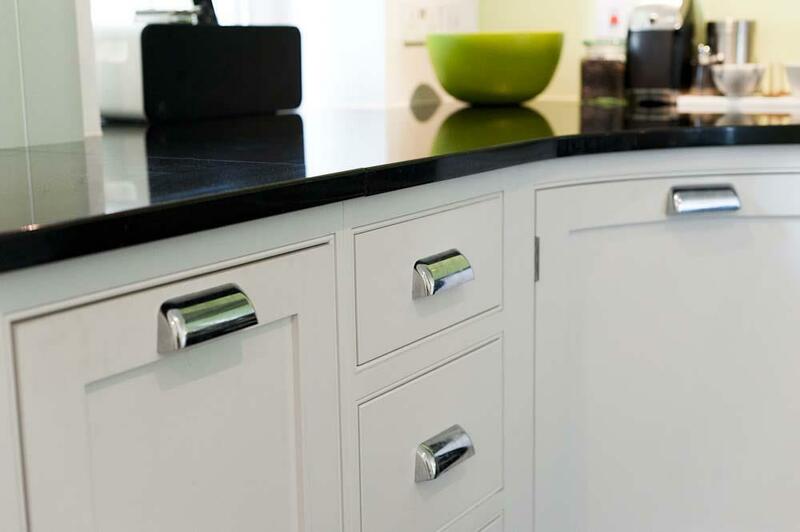 A kitchen is made to be used, so practical design is a must. By thinking outside of the box, you can meet your storage needs without creating clutter or eating too far into your space. 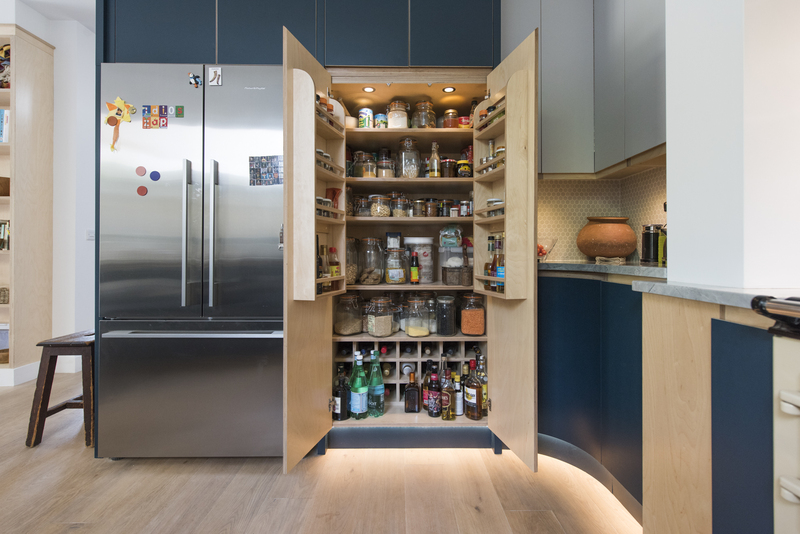 Consider floor to ceiling storage solutions, wall mounted and under counter, taking into account cupboard depth; for example shallower wall mounted cupboards can keep the space open while adding a bit more room to conceal all your ingredients. 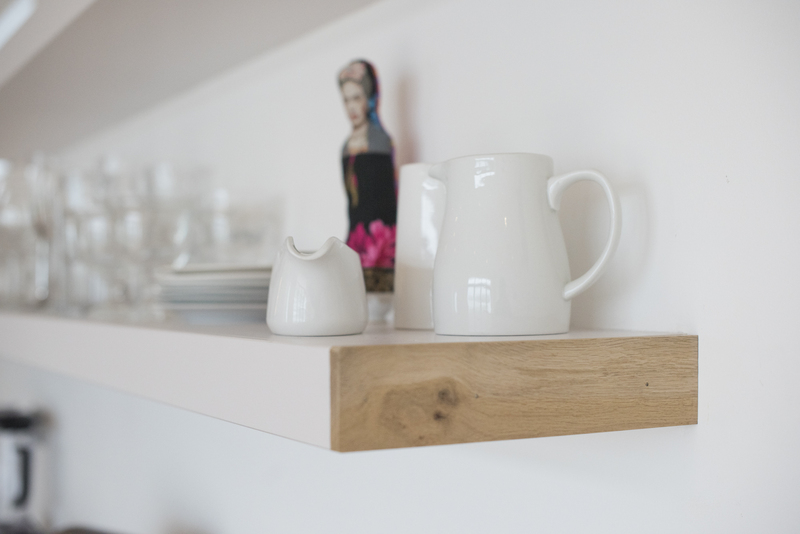 Floating shelves can create elegant clean lines, but be wary of too many exposed storage areas as their busyness can be overpowering. As your storage is likely to be at full capacity, try to strike a practical balance between closed cupboard space where you can stash tins, packages, utensils and the like, and open space where you can store eye-pleasing items like attractive bottles and spices. 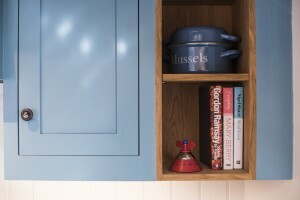 Bespoke cabinetry is an ideal solution in a small space as your storage can be built exactly to the space available, making the most of every nook and cranny. Add colour – Have fun, be creative! Perhaps you’re an eccentric like me who likes to throw different colours and patterns together, or perhaps you find colour a little bit intimidating. Whatever your taste, adding colour can make a small space vibrant. Explore design ideas online to investigate everything from wallpaper patterns to block colour cabinets. You can go with a bright or muted colour theme, choose a pallet to accentuate a beautiful feature (like those sinks I mentioned earlier!) or invest in some stunning wall art to lift the space. Different texture combinations are also great to play with. Consider paring glossy surfaces with mottled stone, matt colours with the softening lines of a trailing houseplant, and so on. Display Cookware – Show off big kitchen items. Large pots and pans take up huge amounts of space in cupboards and are difficult to stack. Why not invest in some attractive iron, copper or enamelled pans and mount them on the walls creating convenient access and an eye-catching wall feature. Large wooden chopping boards, serving bowls and jugs can also be beautifully exhibited on windowsills or shelves. There is nothing like some well displayed cookware for getting you inspired to rustle up some delicious food!